The Umpqua Valley STEAM Hub will be able to share even more educational opportunities around schools in Douglas County thanks to a recent $6,500 donation for its Resource Lending Library. The 2019 Oregon Logging Conference, held in February, hosted a luncheon fundraiser called Desserts for Dreams in Eugene. The event was a huge success, raising over $6,500 that will go toward the lending library. The library is filled with various STEAM-related activities and instruments that help educators enhance students’ experiences. All Douglas County teachers can access materials in the library for free. The Umpqua Valley STEAM Hub Resource Lending Library is located on the Umpqua Community College campus. Fundraiser organizer and OLC First Lady Michelle Dudley said she is excited to see students excel in the classroom in fun, creative ways. “I really liked the concept that materials and related curriculum could be provided to local schools and teachers to increase or enhance STEAM education in area classrooms,” Michelle said. Michelle decided to choose the library as the beneficiary for the fundraiser because she has seen first-hand how local STEAM activities have impacted her sons. Alongside her husband, Jim Dudley, who serves as the 2019 OLC president, Michelle decided to have their children participate in STEAM-related projects in elementary schools and various online programs. The family also attended last year’s STEAM Extravaganza at Umpqua Community College. And the Dudley boys have participated in the space and rocketry session of the Expanding Horizons Career and Technical Education Summer camps organized through Douglas County Partners for Students Success. DCPSS and Umpqua Valley STEAM Hub Director Gwen Soderberg-Chase said the support from the OLC and the Dudleys was more than overwhelming. DCPSS and the Umpqua Valley STEAM Hub were a natural fit for Michelle’s fundraiser, as the Oregon Logging Conference continues to increase its promotion of CTE in an effort to educate youth about career opportunities in the forest/timber industry. 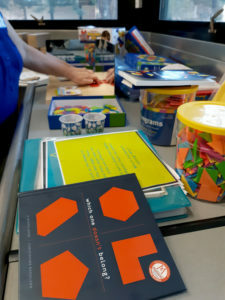 The lending library offers various STEAM-related activities and instruments that teachers can use in their classrooms. In addition to the thousands of people who attended this year’s conference, hundreds of students visited as part of the event’s educational outreach programs. More than 500 high school students from 30 schools attended the second annual Future Forestry Workers Career Day on Feb. 22. The students took turns learning how to plant trees, operate a small excavator, run a chain saw and talk with industry professionals about wildland firefighting, diesel mechanics and more, according to OLC. The students also were told of current job and career opportunities in the logging, trucking and natural resource industries, and the skills needed to pursue those opportunities. Several hundred elementary school children also visited the conference for an up-close-and-personal look at the large equipment on display and to learn more about the logging industry. And an OLC Foundation auction raised thousands of dollars to help provide scholarships to students pursuing careers in logging and related careers. Earlier in February, OLC participated in the 12th annual Explore Event at Umpqua Community College. In supporting the STEAM Hub through Desserts for Dreams, Michelle said she wants to ensure that even though local schools are chronically underfunded, all students have equal access to the resources that will help them build the skills needed to succeed in their educational and career endeavors. “My hope is that every school in Douglas County has the opportunity to utilize the resources provided through the UV STEAM Hub,” she said. 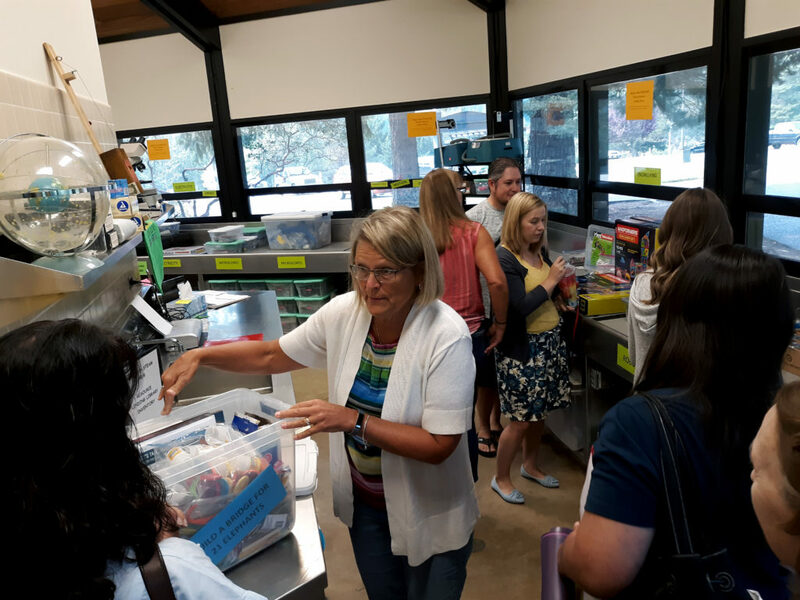 To browse the Resource Lending Library’s inventory and to create an account to check out materials, visit www.umpquasteamhub.org.